Whew. It's finally Friday. It really is! 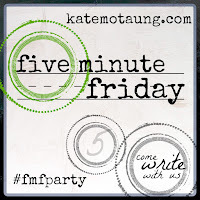 Let's jump into another Five-Minute Friday! I believe in God's providence, there are no "coincidences" or "by chances" in my life. When I ready today's Five-Minute Friday word, "Joy", I laughed out loud. This week I have been struggling in the joy department. I will call it my joy "desert" with joy being the palm-tree encircled oasis that I just can't find. As God's children, knowing Jesus Christ as our Lord and Savior and having the hope of eternal life gives us joy and that joy is unshakeable! What's wrong with me then?! Lately I have felt hopeless, absolutely exhausted and totally defeated. Far from joyful. "Joy is the settled assurance that God is in control of all the details of my life, the quiet confidence that ultimately everything is going to be alright, and the determined choice to praise God in every situation." When I finally laid down for the night, toddler in bed and baby boy laying on me, I wanted to cry. I wasn't even sure why. I just felt completely overwhelmed. I looked back through my journal and found the verse God had given me in my morning devotional time that day. Psalm 51:10-12... Specifically verse 12 spoke to me. Oh, how my joy needed to be restored. The Holy Spirit has brought up the word "steadfast" in many Scriptures through the past couple weeks; verse 10 being one of them. To be "steadfast" means firm in belief, determination, or adherence (thanks, merriam-webster). 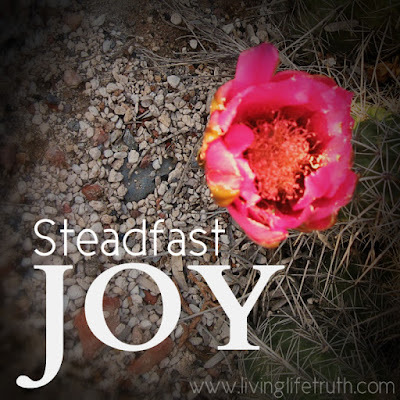 I want to live with steadfast joy; with my focus firmly fixed on the Lord and my joy unshakable regardless of my circumstances. Praise the Lord for the grace He gives to His children. Praise Him for the unfailing love He has for us. In spite of my joylessness this past week and the many times I have failed Him in this life, I have hope that God will restore that joy to me. He is true to all of His promises and I know He will renew a steadfast spirit within me. Time and time again, God forgives my mistakes, He picks me up, brushes me off and gives me the strength to press on. Oh, the Lord is so good to us as we seek after Him! 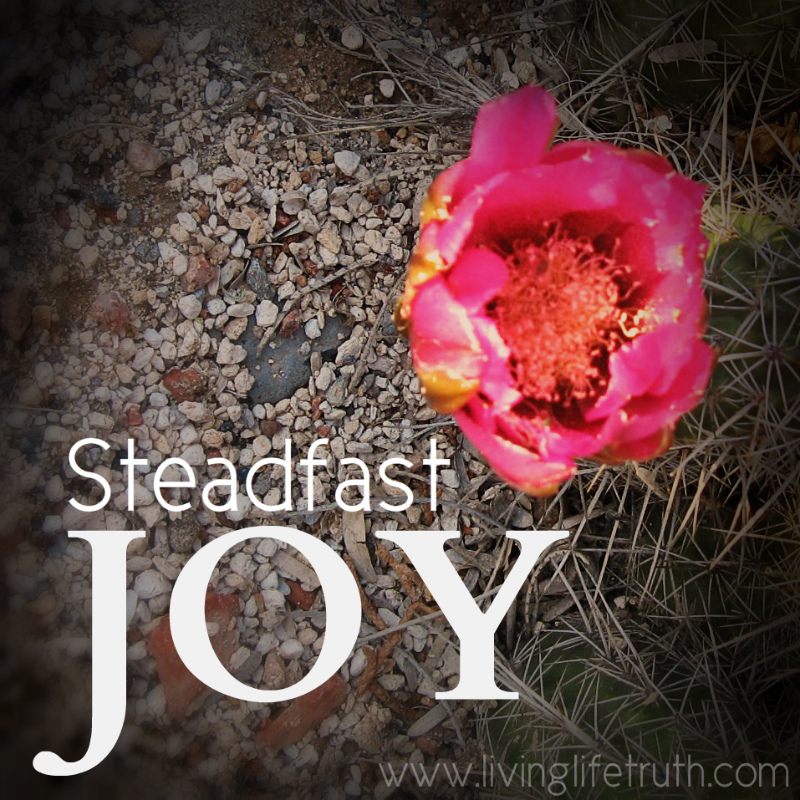 Heavenly Father, thank You for the strength to have steadfast joy! You are my hope. I have joy in knowing that Your compassions are new every morning. Thank You, Lord, for Your faithfulness! Amen. Hoping your joy returns soon. Thanks, Susan :) Some days it's so easy and other days, it takes extra time in prayer and the Word to fully recover that joy! Fatigue is a huge joy sucker! You will get it back! Rest and be thankful, your are on the right path, it will come back. Thank you for the encouragement, MB!